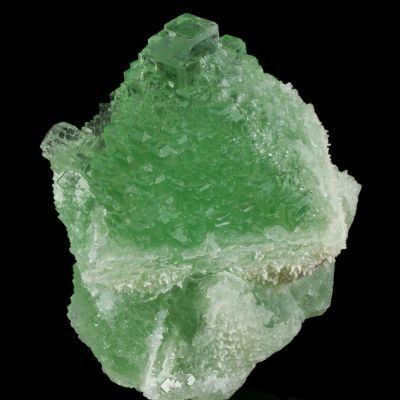 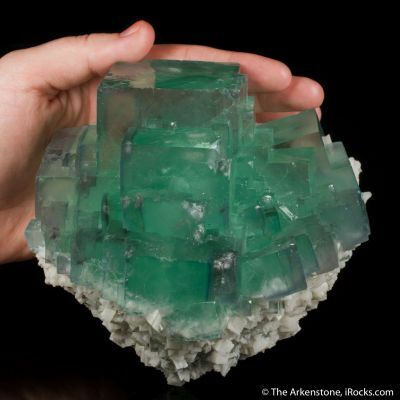 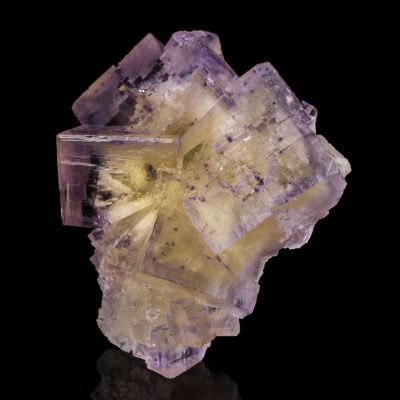 A unique and Exceptional Minerva Fluorite, whose rectangular and elongated component crystals are gemmy, lustrous, and zoned. 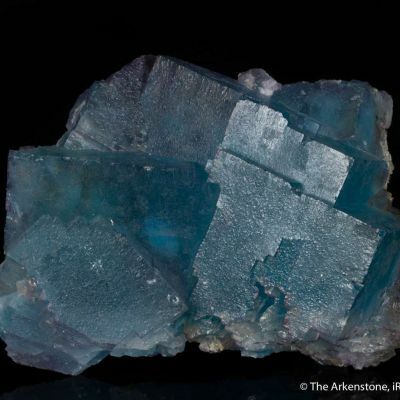 Predominantly purple, there are zones of sky blue, as well as numerous, very fine radiation-induced dark spots. 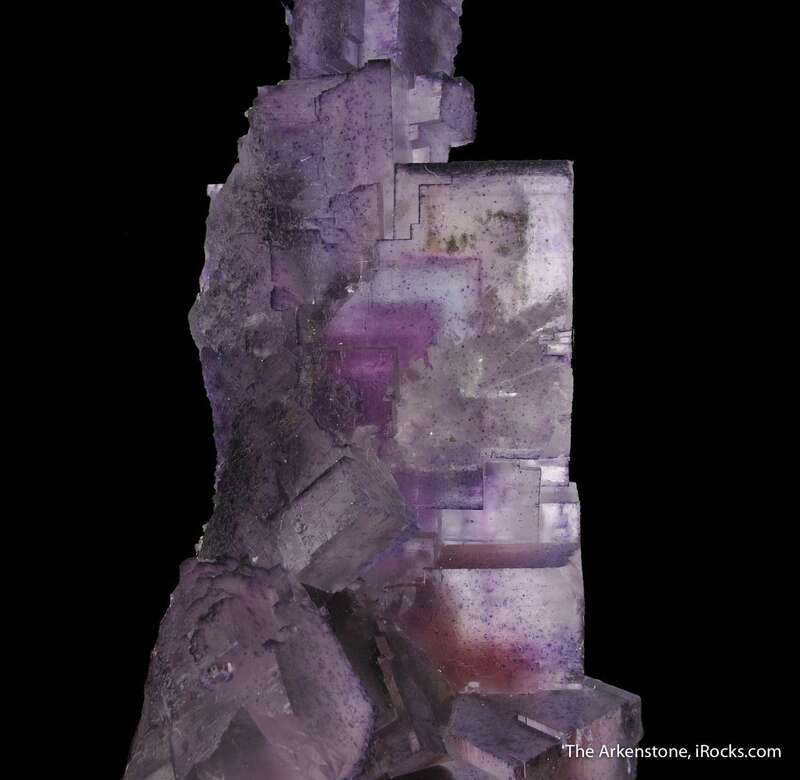 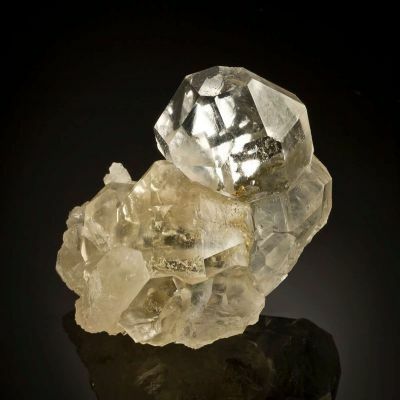 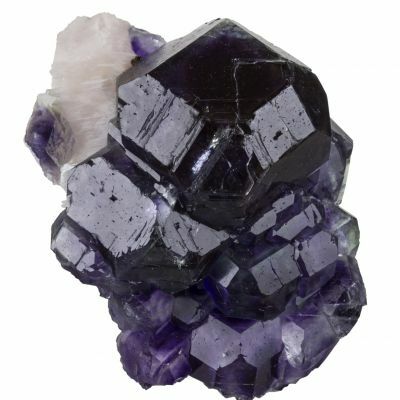 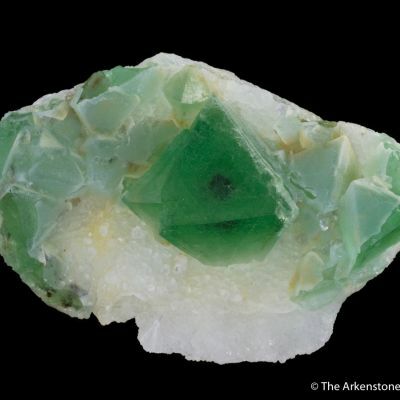 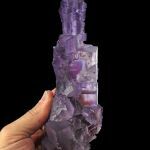 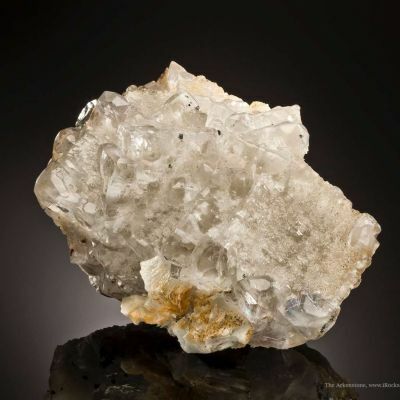 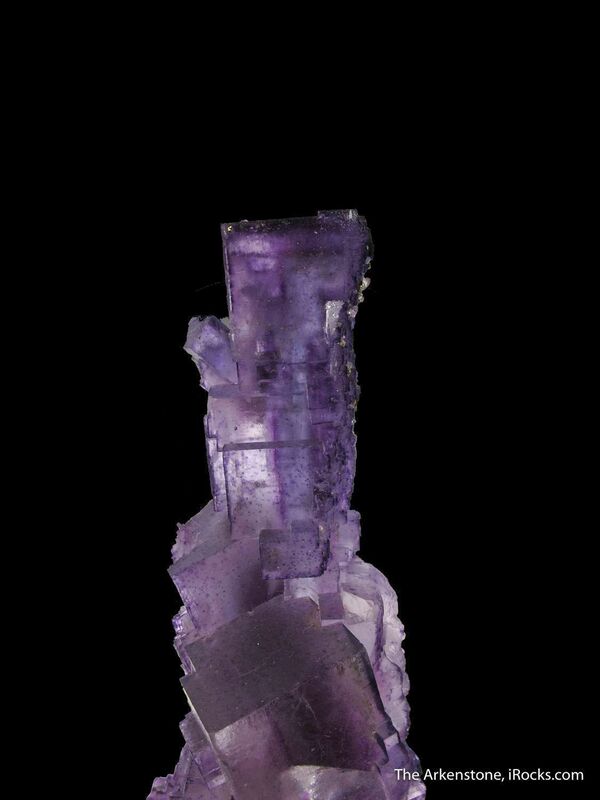 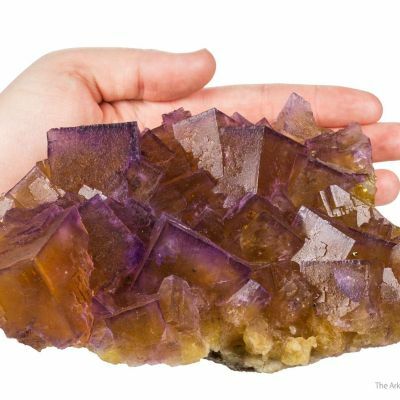 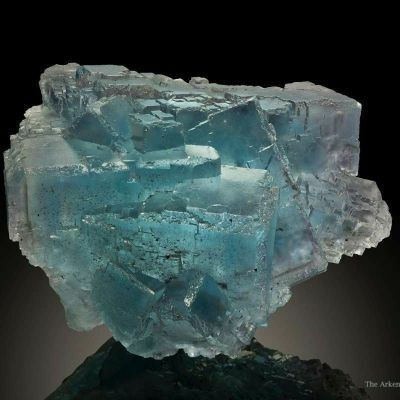 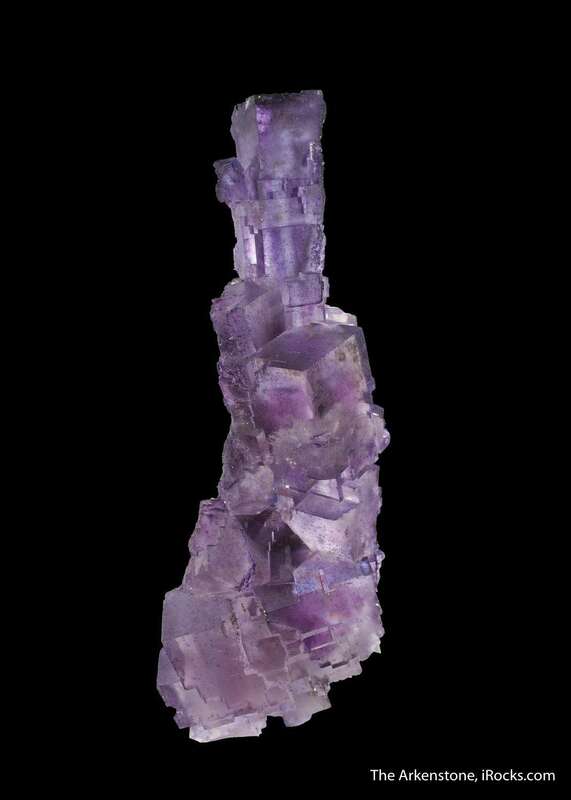 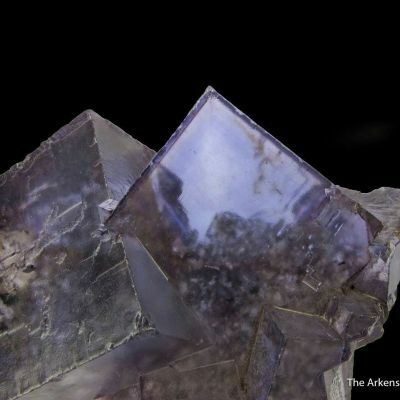 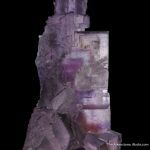 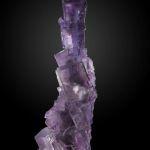 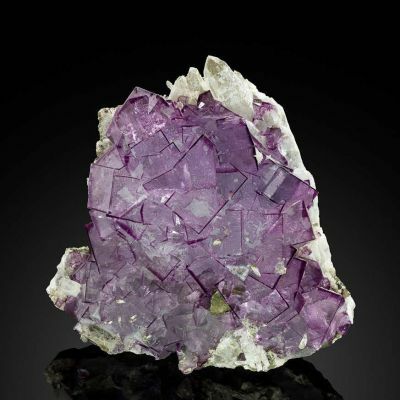 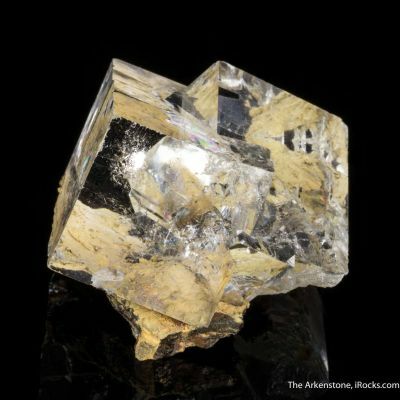 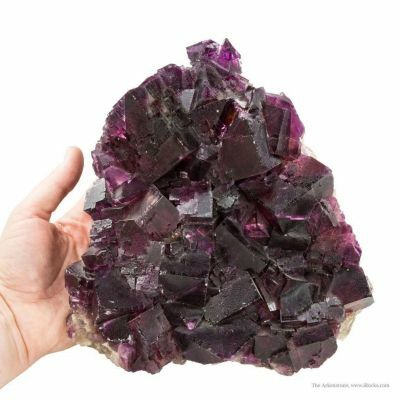 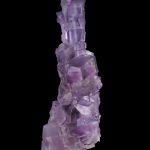 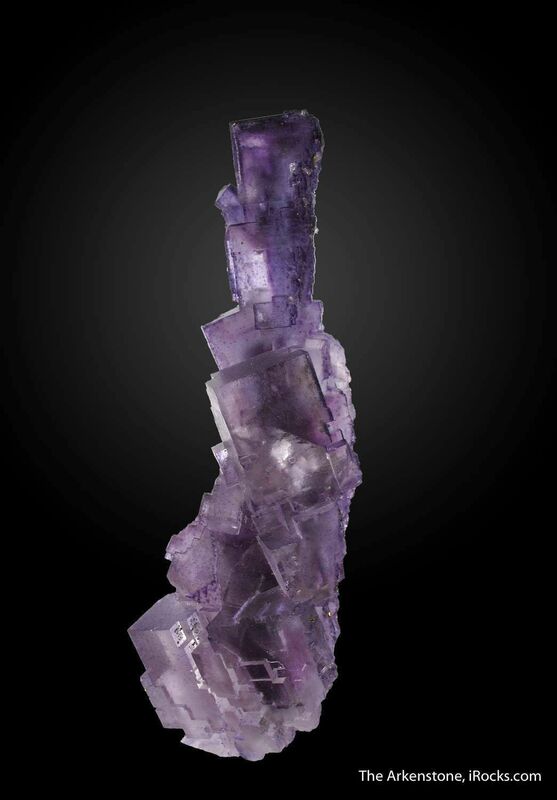 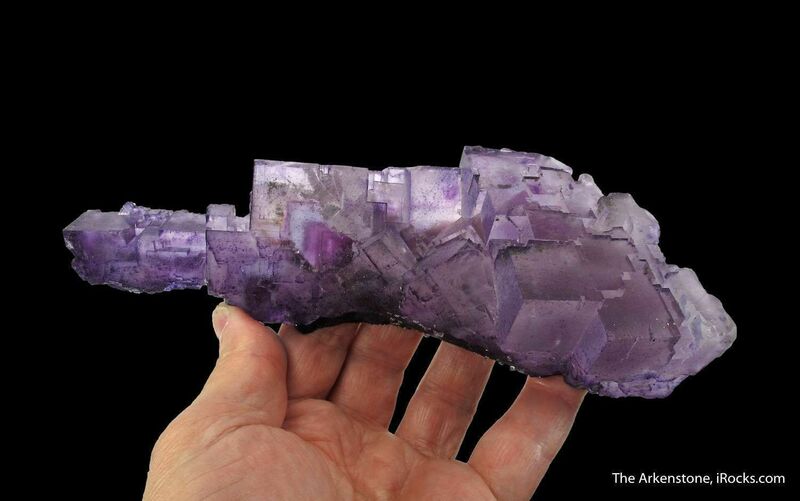 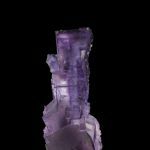 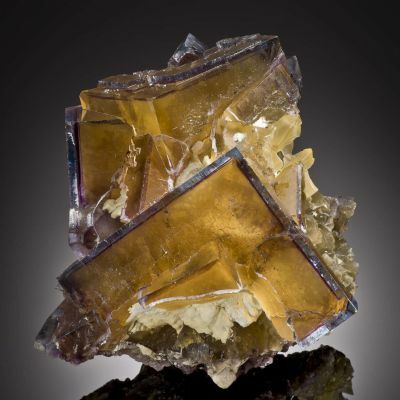 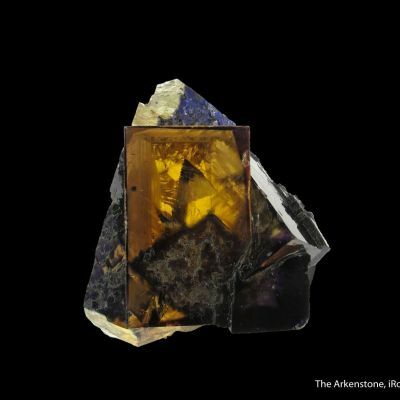 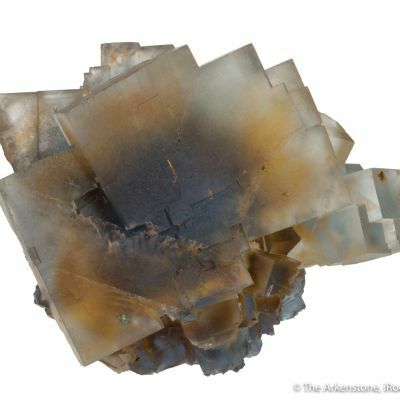 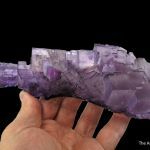 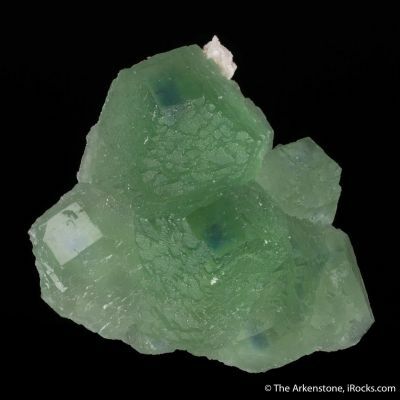 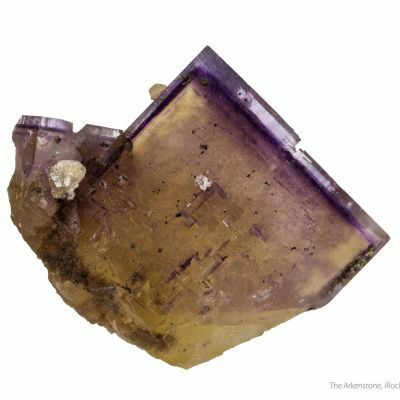 The Fluorite crystals range up to 3 cm, and the elongated cluster is attractive both vertically and horizontally. 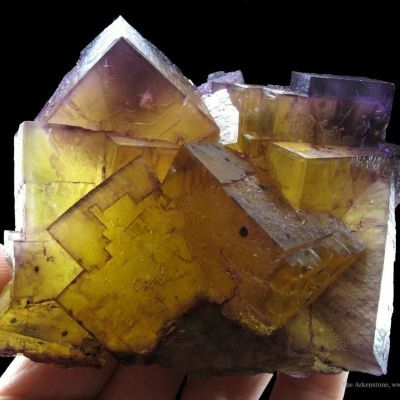 A cluster like this from Minerva is a rare thing, and the size and aesthetics are outstanding here - one of the best of this style known. 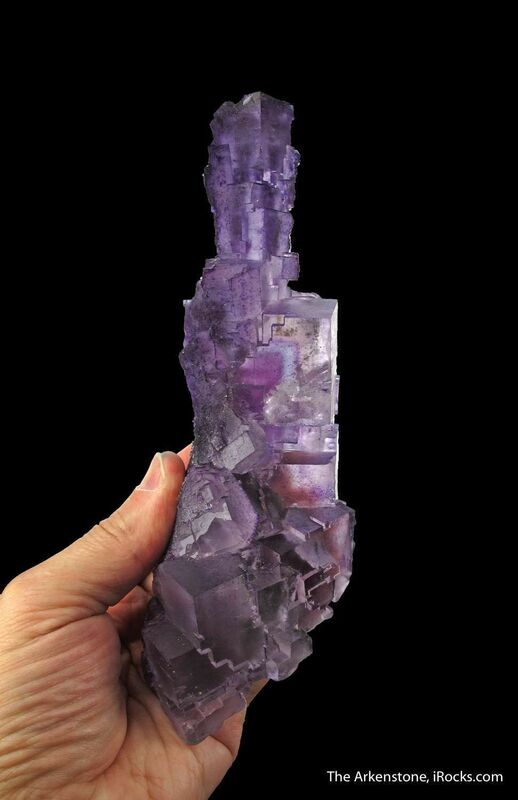 Comes with a custom base.